Dynacare Plus is Canada’s leading digital health destination that helps you connect with your health anytime, anywhere, on any device. 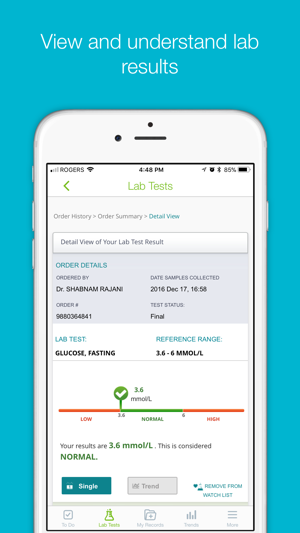 If you are a Dynacare Plus member, you can download the app for free and access your lab results, biometrics, and digital health tools all on your phone or tablet. If you are not yet a Dynacare Plus member, sign up at DynacarePlus.com to start connecting with your health. 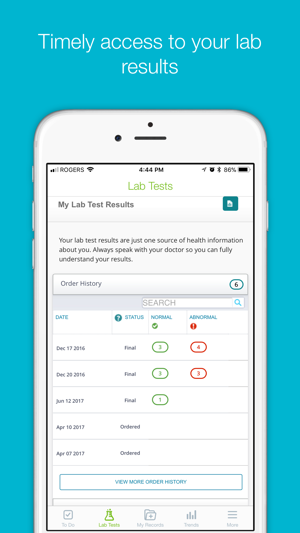 * Access and understand your lab results for tests done at any Dynacare location in Ontario and Quebec. Our reports include simple visual graphs, trending charts, and descriptions of what the tests are and what the results may mean for you. 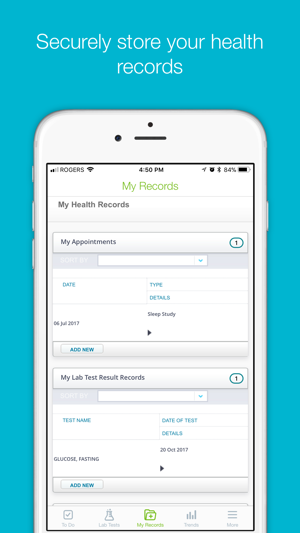 * Store your medical appointments, medications, and vaccinations in your own personal health record. We help you manage your health by keeping you on-track with your treatment plan. 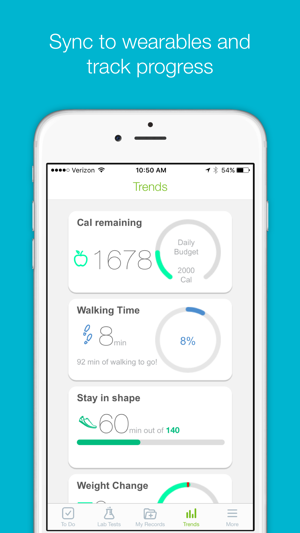 * Connect to your health devices like Fitbit, Jawbone, iHealth, and HealthKit (Apple Health App), and monitor and store all your personal health data in one spot. 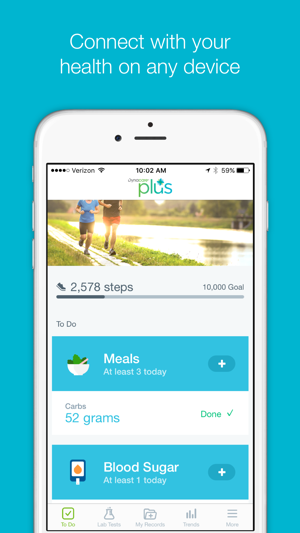 We give you a single place to track your glucose, blood pressure, activity, and more. * Search our health library for thousands of articles on medications, diseases, nutrition, etc. We keep this information up-to-date and aligned with Canadian guidelines so that we can be your trusted source for health information. * Manage your health using the world’s leading mobile health apps from StayWell: My Diet Diary for weight management and Sugar Sense for diabetes. We make it easy to learn about your health, and track data for your treatment plans. All personal information stored on Dynacare Plus is secure, and all content is available in both English and Canadian French. Start connecting with your health today! Why isn’t it Dynacare Plus Anymore? What in the world has happened to the app??? Why is MedHelp coming up when I go and launch my Dynacare Plus app? I didn’t pay for this for the year!!! I’d like to access my bloodwork results; not join a community of health apps and not be able to check my lab results!!! Please fix this back to what I signed up and paid for!!! I only paid and signed up on the app to access lab results in advance. Why the heck do I also need to provide my height, weight and DOB. This should be optional, not mandatory. I don’t need a further health evaluation from a lab. I have my physician to do that for me. This is already very private and sensitive medical information and the app should not be requesting any more info from an individual than is minimally required.